Love this CAS card! The colors are gorgeous together! That is such a nice card. I am not going to leave a message on all the others, but please know that I am enjoying them! The PTI inks colors are so nice together! I enjoy the simple way this is laid out. These colours just make me HAPPY! Fun card - love the rounded corners! super cute Heather - what a fun sketch! 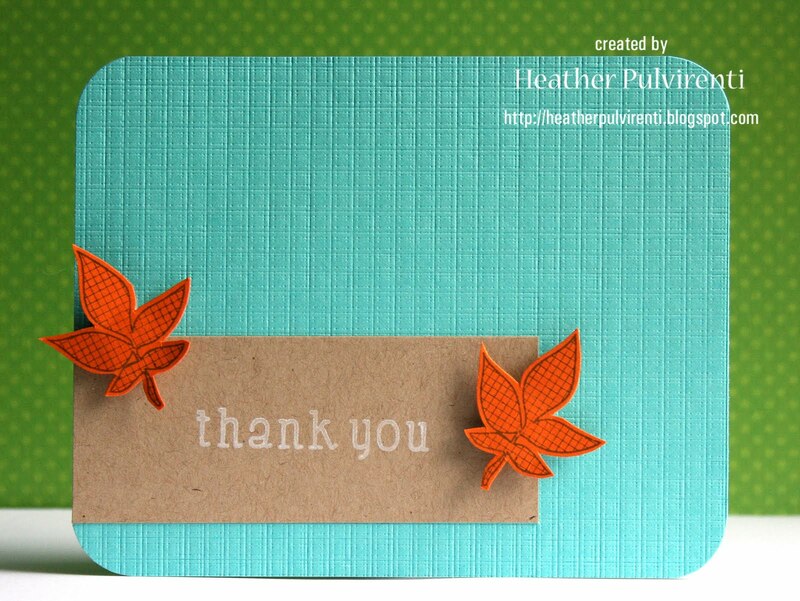 I really like the aqua colored card base to brighten up your autumn card.